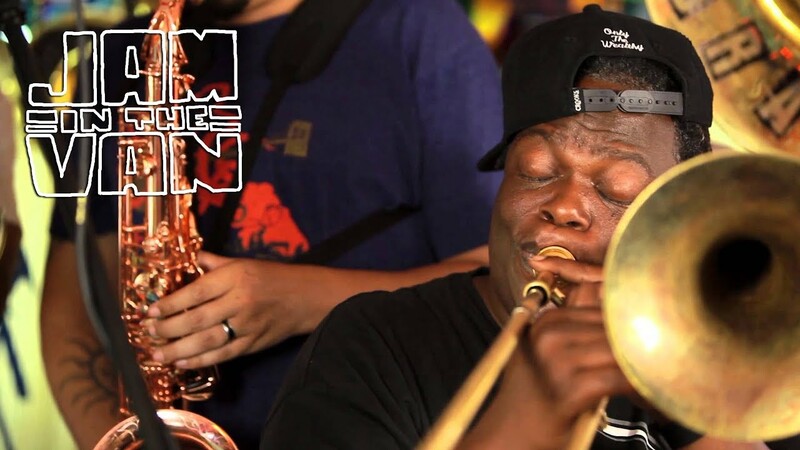 Whether seen on HBO’s Treme, or at their legendary Tuesday night gig at The Maple Leaf, The Grammy Award-winning Rebirth Brass Band is a true New Orleans institution. Formed in 1983 by the Frazier brothers, the band has evolved from playing the streets of the French Quarter to playing festivals and stages all over the world. While committed to upholding the tradition of brass bands, they’ve also extended themselves into the realms of funk and hip-hop to create their signature sound. “Rebirth can be precise whenever it wants to,” says The New York Times, “but it’s more like a party than a machine. It’s a working model of the New Orleans musical ethos: as long as everybody knows what they’re doing, anyone can cut loose.” In the wake of the sometimes- stringent competition amongst New Orleans brass bands, Rebirth is the undisputed leader of the pack, and they show no signs of slowing down.